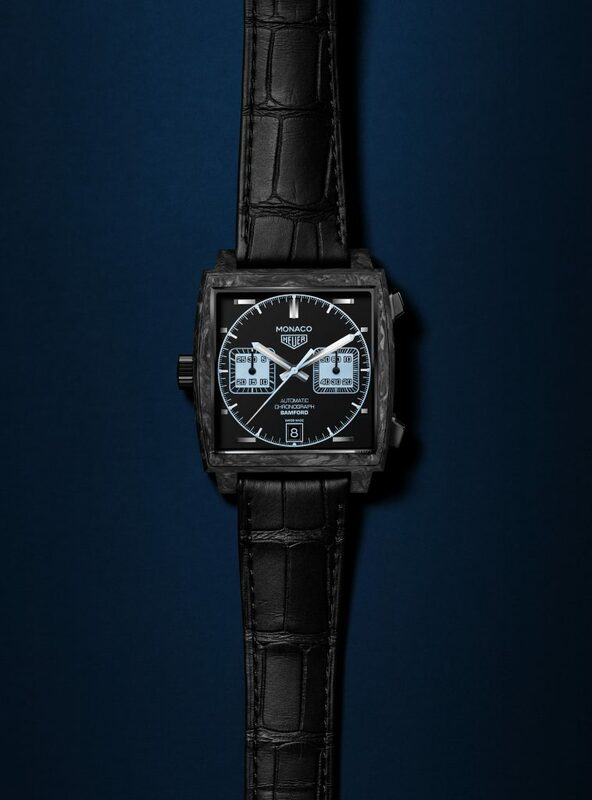 With a solid carbon case, an elegant black dial and blue chronograph counters, the Monaco Bamford, is a respectful remake of the timeless classic. Complete with a 39 mm case, with the crown positioned on the left of the watch. Luminous indices and numbers illuminate amongst the watch and add another layer at night.